The famously festive Coca-Cola Christmas Truck is about to hit the road. The Coca-Cola truck is returning to Belfast on Wednesday 6th December, as part of a ten-stop tour of Ireland and Northern Ireland! During each stop, spectators will have an opportunity to take a souvenir photo with the Coca-Cola Christmas Truck. The truck will spread Christmas cheer at the SSE Arena Belfast on December 6th from 2-8pm followed by a visit to Foyleside Shopping Centre on Thursday 7th December. Don't miss it! The truck has travelled more than 730,000 miles – the equivalent to 29 times around the world! 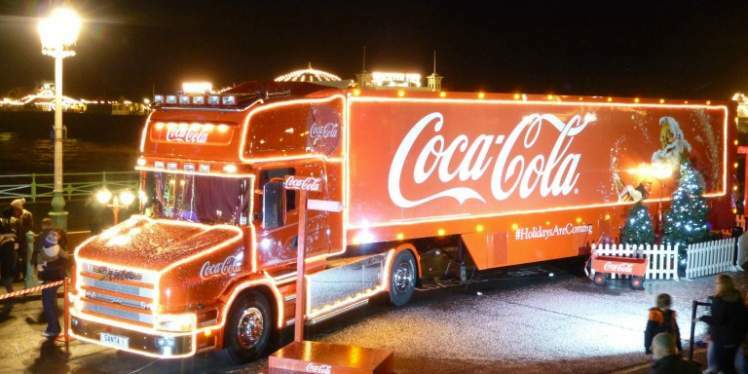 The Coca Cola Christmas Truck is coming to Belfast on 6 December!